in a very few days instead of waiting when it’d be fixed. Just contact the RigExpertCare™ partner to get such a great support! RigExpertCare™ applies when the product has been used for the purpose intended and under normal conditions. General wear and tear, normal fading, and accidental damage is not covered by the warranty. 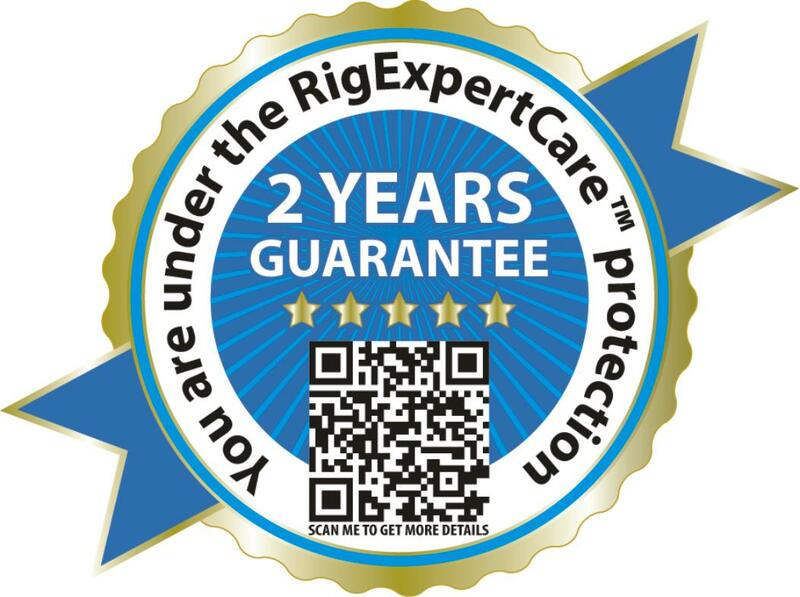 or visit the RigExpert™ website and find notice “Warranty coverage by the RigExpertCare™” on General info tab at the product page.